What is HLS™? - Hudson Livestock Supplements Inc.Hudson Livestock Supplements Inc.
HLS™ products are 100% lickable consumption controlled energy, protein, vitamin, and mineral supplements. 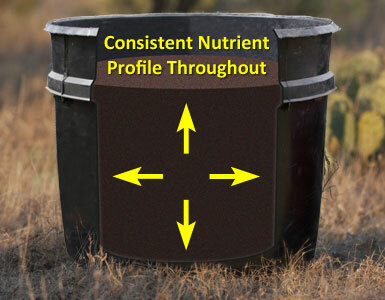 HLS™ products are truly unique as the Hudson Continuous Flow Process allows for consistency in production resulting in efficient and consistent nutrient delivery to livestock, tub after tub. During the process, Pure cane molasses is processed through a dehydration step to reduce moisture. The continuous flow of pure cane molasses through the controlled cooking process allows for consistent crystallization and increased energy intake. Nutritional ingredients are blended into the taffy-like mixture during the cooling phase. This allows the molasses mixture and the added ingredients to be thoroughly blended into a stable mix, ensuring a consistent nutrient profile throughout. Various size HLS containers are filled with the uniform mix and the product then cools to a hardened state. How is Consumption Regulated in HLS™ Cooked Molasses Tubs? HLS™ supplements are low moisture products resembling that hard rock candy you used to buy in the store. If you leave a piece of hard rock candy on the kitchen counter for an hour and come back, it will be sticky. This is the result of it drawing moisture from the atmosphere. The number of tubs (surface area) in the pasture available to draw moisture from the atmosphere in relation to the number of livestock regulates consumption. It is important to follow proper feeding instructions. 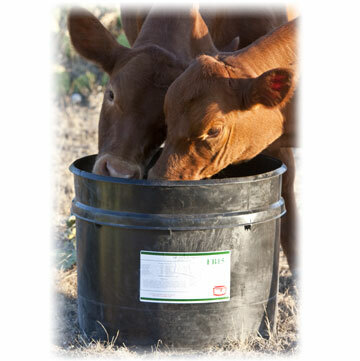 If too few tubs are placed in the pasture then animals will not get the nutrients that they need. On the other hand, if too many tubs are placed in the pasture, animals will over consume the supplement. Generally, HLS™ protein supplements for cattle are formulated so that one tub per 25 head will achieve a 1/3 to 1/2 pound per-head per-day consumption rate. We control the hardness of the product to accommodate different climates and recommended consumption rates based on the purpose of the product.